I’ve been digging through my family history box a lot in the last few weeks, probably because I’ve been thinking about dad more lately, with it being the holidays. I’ve also been on ancestry.com, making connections and finding a few new things. It’s addictive! In addition to the many records that I have from my dad, the smattering of pictures, which are often unlabeled, provides a different kind of glimpse into my forebears’ lives . . . This photo is not labeled, though the back of it notes that it was from Birmingham in May 1935. The picture was placed by itself in the Stradford notebook that my dad kept. The best guess that I have, since my grandparents didn’t get married until 1937, is that these are two children belonging to one of grandmother’s older siblings. I also think so because this little girl really favors my grandmother’s older sister Dorthy (see above). 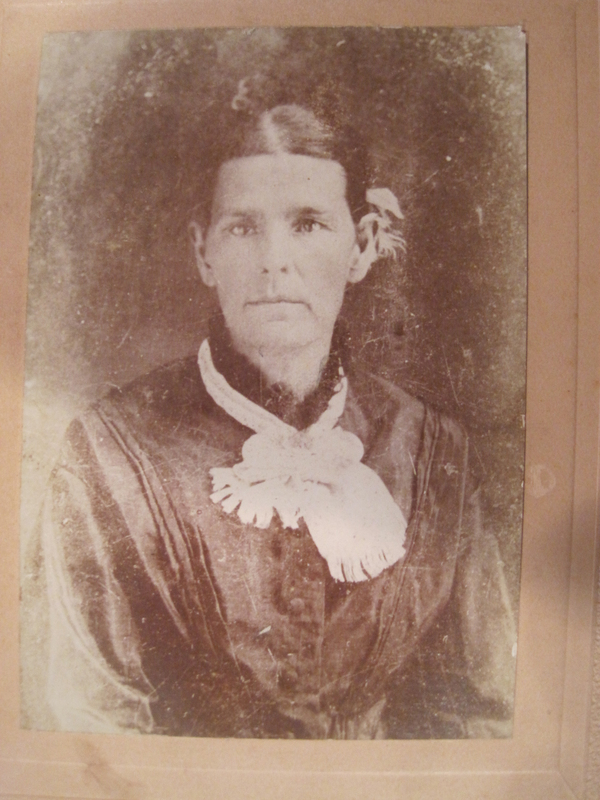 This (very old) grainy old photo is of my great-grandfather Albert Stradford’s mother, Louisa (Mayhall) Stradford. No date is listed on the picture, though the writing on the back must have written by my great-grandfather, since it has her name and under it “my mother.” This lady is my great-great-grandmother on my father’s side. This picture was glued onto the page for my grandfather’s father Crother Louis Foster, though names are not given on the picture. (Crother is Andrew Conley Foster’s father.) 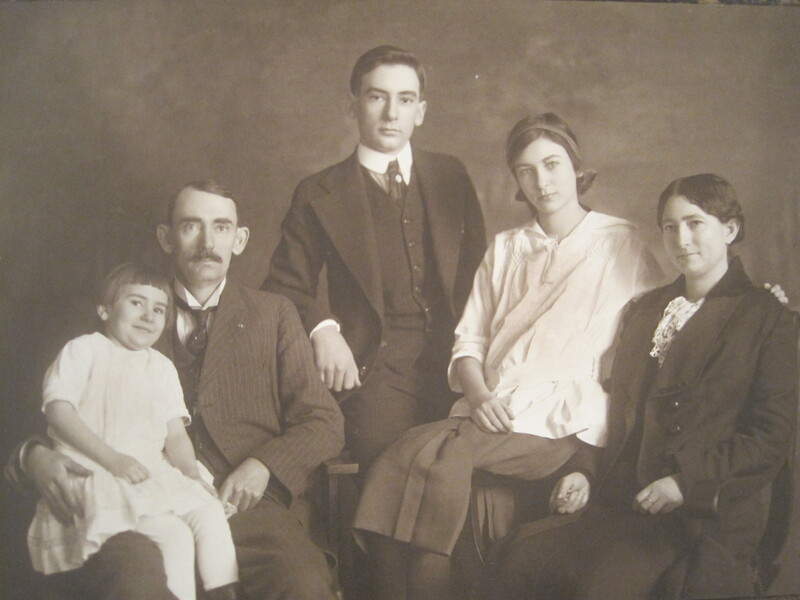 I am assuming this is Crother and his second wife Rosa, who was my grandfather’s stepmother. 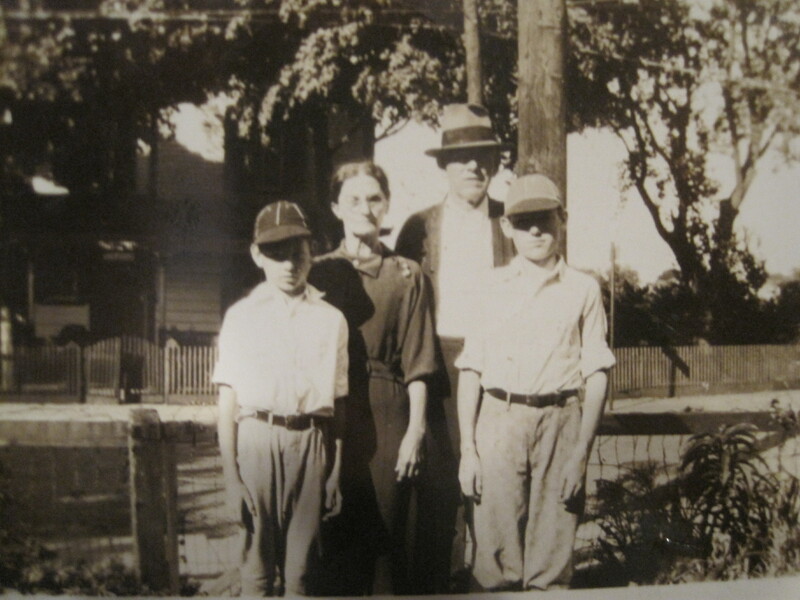 Because Crother and Rosa look older here, the two boys are probably my grandfather’s sons, Louis T. Foster and Fred Foster, who according to the US census were living with them in the 1930s. 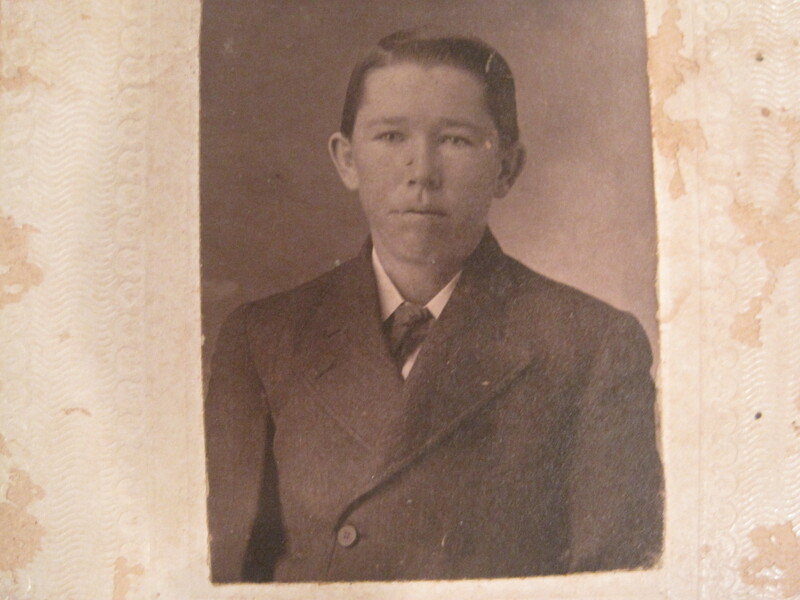 This photo is of a young Elrath “Ed” Taylor, who was my grandmother’s father. No date is included, though he was born in the late 1800s, so this picture is probably from the turn of the century. Ed Taylor was from Butler County, Alabama and later became a farmer in Lowndes County, Alabama, and his oldest daughter, Gladys Taylor, was my mother’s mother. My mother spent summers on her grandparents’ farm when she was growing up. 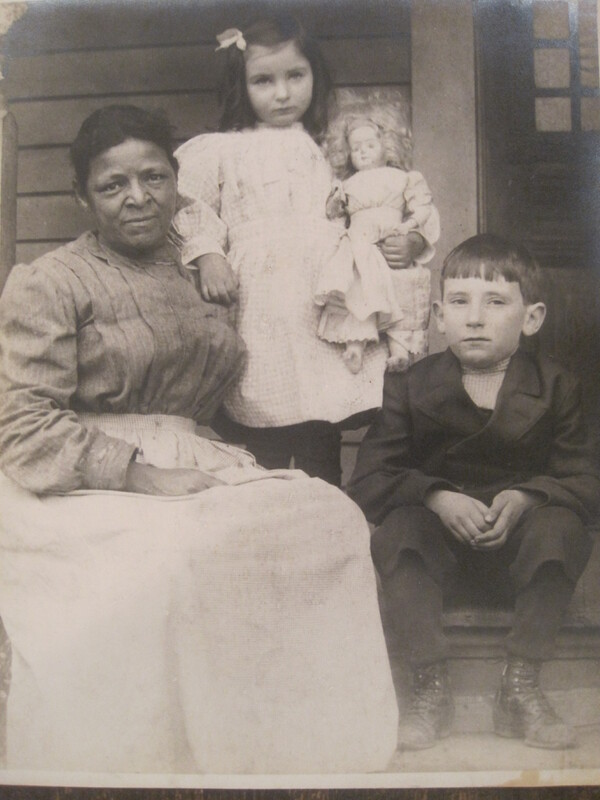 This is Ed Taylor’s wife, my great-grandmother, Sally (Dean) Taylor. My mother called her Granny and spoke very fondly of both her grandparents. In this picture, which is from the early 1970s, she is holding my older brother. 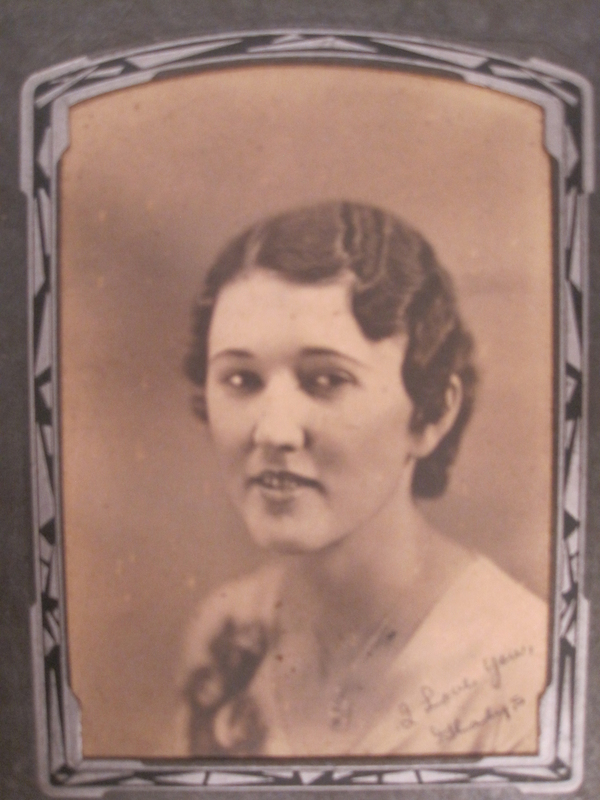 This is my maternal grandmother, Gladys (Taylor) Foster, when she was young. The photo has no date on it. 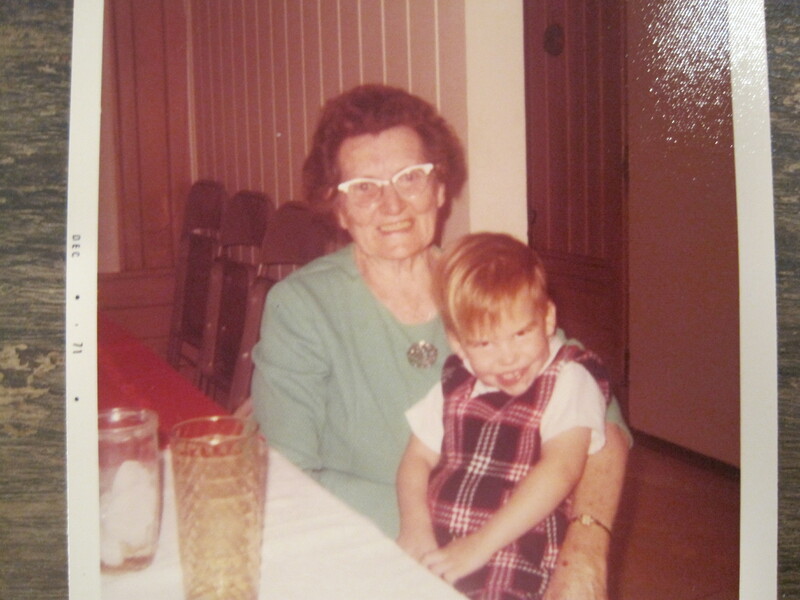 This lady was the only grandparent I knew, since the rest had passed away before I was born. 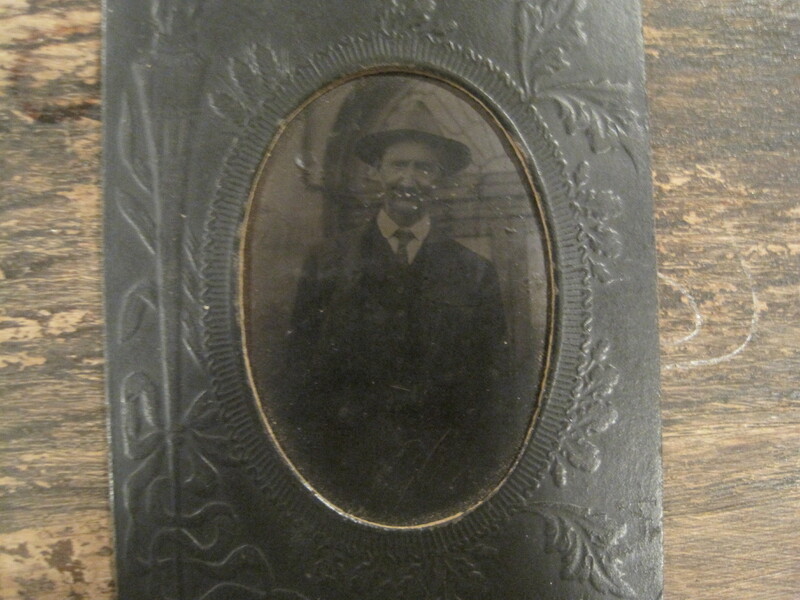 Finally, this very dark (and very old) picture is of Edward Lowndes Dean, Sally (Dean) Taylor’s father, so he would be my great-great-grandfather. No date is listed on the picture. He lived from 1857 until 1924, so given that he looks older here, this photo is likely from the early twentieth century.